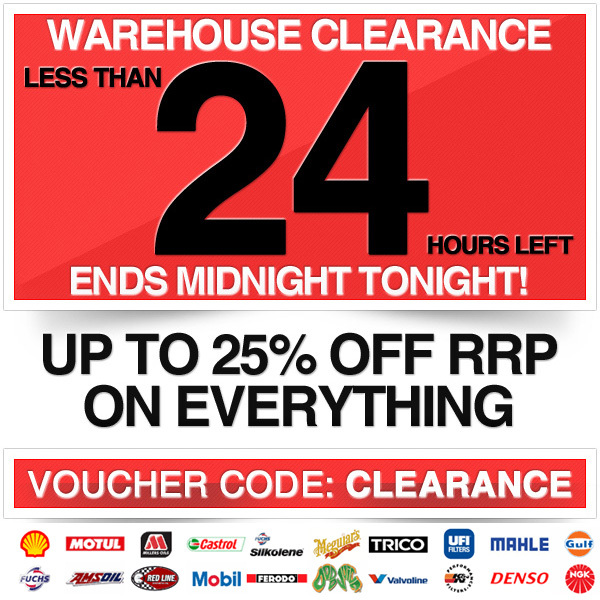 Opie Oils Warehouse Clearance - Use Voucher code CLEARANCE and get up to 25% Off RRP on everything! * Voucher code CLEARANCE cannot be used on trade orders or in conjunction with club discount codes. * At the request of Millers Oils, Nanodrive engine oils have been excluded from this offer.